On Wednesday, 7 February 2018, Somaliland’s Ministry of Religious Affairs passed a religious edict against the practice of female genital mutilation (FGM), in the hopes of putting an end to this “traditional heritage” which affects many women in the Horn of Africa region. Women’s rights groups active in the struggle of ending this practice are satisfied with this first achievement, but are determined to keep on advocating so that female genital mutilation will be completely erased as a widespread practice in Eastern Africa. Somaliland has issued a fatwa, or religious edict, banning female genital mutilation (FGM) - and paving the way for the breakaway region to pass legislation against the internationally condemned practice, a senior official said on Wednesday [7 February 2018] . The fatwa from the ministry of religious affairs on Tuesday [6 February 2018] said those who perform FGM would face punishment, and victims would be eligible for compensation. It did not provide details on the severity of punishment, or the amount of compensation. “The reason that this harmful practice has existed for so long is that people believe it is because our religion or culture dictates that we should do it,” said Ayan Mahamoud, Somaliland’s representative in Britain. 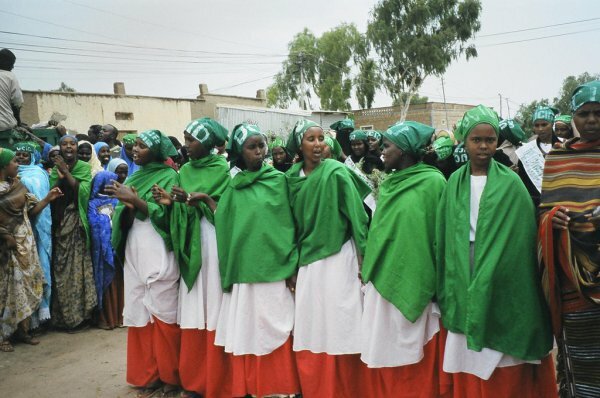 “The fatwa is basically a message from the government to everyone in Somaliland that there is no religious or cultural basis for FGM,” she told the Thomson Reuters Foundation. The practice - which involves the partial or total removal of the female genitalia - is almost universal in the self-declared republic of Somaliland, a breakaway region of Somalia. The Horn of Africa nation has the world’s highest rate of FGM, according to the United Nations. An estimated 200 million girls and women worldwide have undergone FGM, which can cause serious physical and mental health problems. Mahamoud said the religious ban - which coincided with the International Day of Zero Tolerance for FGM - was timely as it comes weeks before a bill outlawing the practice is expected to before parliament. Many families in Somaliland believe it is a religious obligation although it is not mentioned in the Koran. It is widely considered important for ensuring a girl’s purity and a prerequisite to marriage. The ancient ritual is usually carried out by traditional cutters, often using unsterilized blades or knives. The fatwa pertains to the most severe form of FGM called infibulation, where the external genitalia are removed and the vaginal opening sewn or sealed closed. It is the most common type of FGM performed in Somaliland. Women’s rights activists, who have fought for decades to end FGM, welcomed the move but said the struggle was not over yet. “It took us 42 years to reach this day, but, this is not the end of the battle,” tweeted Edna Adan, a leading anti-FGM campaigner in Somaliland.